SKY News has announced a new programming line-up for weekends. Saturdays mornings will feature Paul Murray, Jaynie Seal, Jim Callinan while Sunday mornings include Peter van Onselen and Paul Kelly. Jim Middleton also airs both Saturday and Sunday arvo, while Peter Berner debuted on Saturday night. 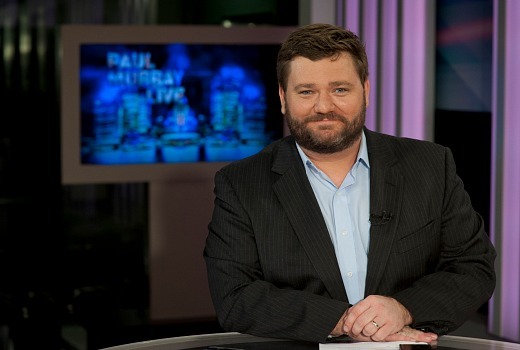 Popular SKY News anchor Paul Murray anchors a new breakfast program Saturday Edition with Paul Murray from 7:00am – 10:00am AEST promising to get your weekend off to a good start. Joining Paul on Saturdays is SKY News anchor Jaynie Seal with news and SKY News sports anchor Jim Callinan at the sports desk. Paul Murray said: “The world doesn’t stop spinning on the weekend, why should SKY News? The idea is a simple one, to tell you what’s going on, in our own way. New to Sunday mornings Peter van Onselen anchors Sunday Edition with Peter van Onselen from 7:00am – 10:00am AEST, featuring the latest news, sport and weather. Sunday Agenda is on air with Peter and Paul Kelly from 8:30am AEST with your essential guide to the week in politics. Jaynie Seal is back at the news desk on Sundays while SKY News sports anchor Greg Thomson will have all the sport news. Leading SKY News correspondent Jim Middleton also joins the weekend line-up as anchor of Weekend Agenda each Saturday and Sunday from 4:00pm – 6:00pm AEST.